Good day and welcome my special guest from the lesser liked second Star Wars trilogy, Jar Jar Binks. Me: Jar Jar welcome to the show. 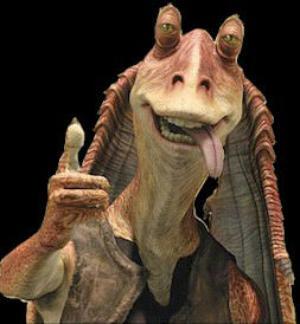 Jar Jar: Thanka yous for having me. 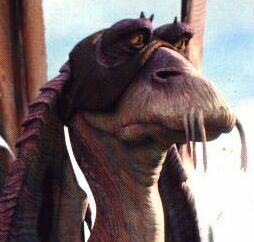 Me: So Jar Jar I know you are from a galaxy far far away but what do you think of the NFL owners taking away a second football franchise from the city of St Louis? Jar Jar: Meesa not sure, but I am pretty sure dat Jar Jar is to blame. Me: I’m sorry Jar Jar, how is this your fault? Jar Jar: Well Gungans nosa be good at playing da footsball. 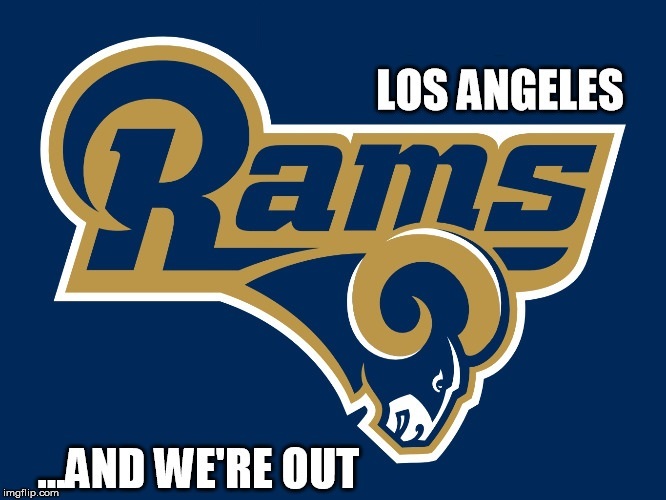 Also, the owner-day of da Rams is part Gungan. Heesa not even try to disguise it very much. See dis pickcha. He looksa just lika Captain Tarpals. How wude! 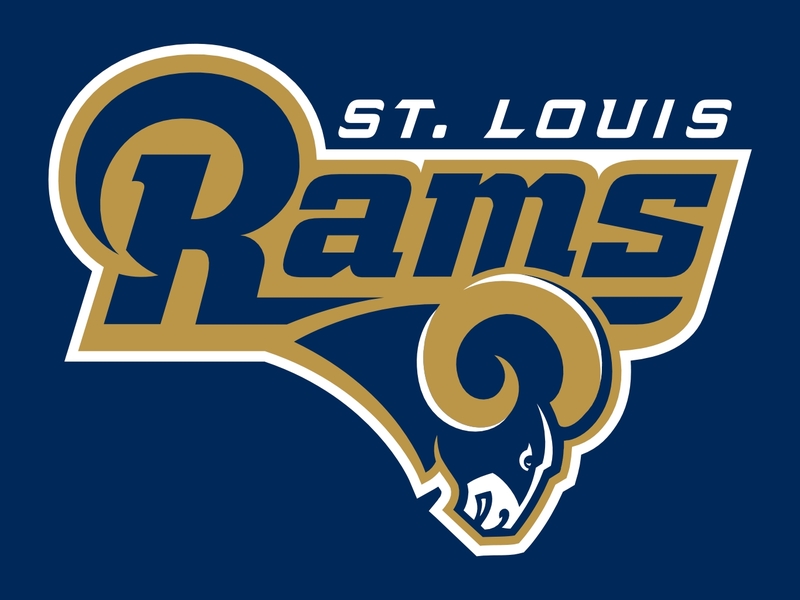 Me: You make very good points Jar Jar but I do not blame you for the Rams leaving St Louis. 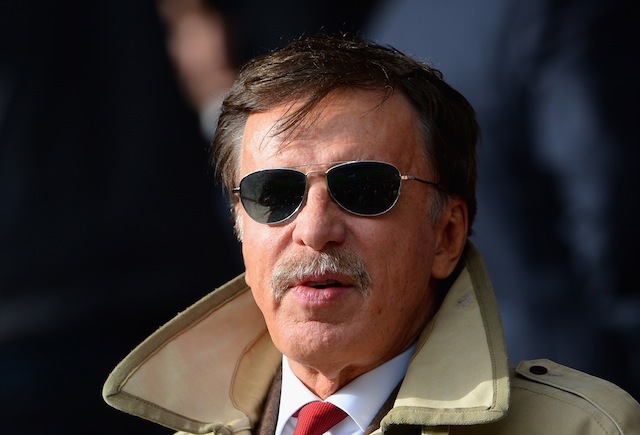 I put the blame on an owner who was greedy and equally jealous of the storied franchise that is the St Louis Cardinals baseball team. 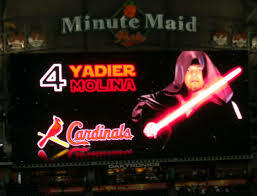 Some even say that the St Louis Cardinals have grown so powerful in the baseball universe that they are using the dark side of the force. Jar Jar: Meesa thinks you are fooling with Jar Jar. Me: Perhaps. But you know what really grieves me on this day? 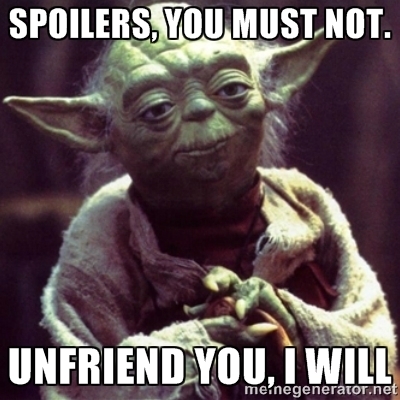 Me: Getting blind-side spoilers from the new Star Wars movie from a five year old. I know the movie has been out for several weeks but for the most part I have been able to avoid the water cooler talk of peers (even on social media) about plot points. But lo and behold, yesterday in speaking with young Padawan Ayden he blurted out a couple of tidbits from the newest movie as relayed from a classmate. All I could do was shake my head and offer him a beverage to try to change the subject. How do you get mad at a five year old for something that he has no idea what he just did? If he was twenty-five years old, I would have smacked him on the back of head and said, “What’s the matter with you?” in my best Brooklyn accent. Me: Well thanks Jar Jar but I’m afraid that’s all the time I have for today. Please come back sometime in 2099 and we can talk some more. Jar Jar: Okie day. Bye bye allsa yous out der in cyber readings worlds! Me: May the force be with most all of yousas, er…you.